30 August, 2018 - Comments Off on What voice changer does your favourite youtuber use? For a few years, youtubers have become Internet superstars, especially among the younger sector. These new masters of entertainment generate millions of visits with their videos playing games like Minecraft, Fortnite, PUBG or LOL, as well as trolling their game partners using voice changers or voice modulators. Some of the most famous gamers are Best in class, Smii7y, GassyMexican, Lt. Lickme, I am Wildcat, SootHouse, Vanoss, CDNThe3rd, GotDrums (auto-tune god), Greekgodx, Nick Eh 30, Plexiate, Jonsandman or Exzd. We analyze the voice morphers of Mini Ladd, Doni Bobes, JohnontheRadio, TimTheTatman, SwaggerSouls, TuxBird, Kitboga, Fitz or Kryoz. What voice changer does Best in Class use? The voice modulator that Best in class uses is a great mystery. Analyzing his videos, we conclude that he uses a hardware vocal processor that modifies the audio of his microphone. 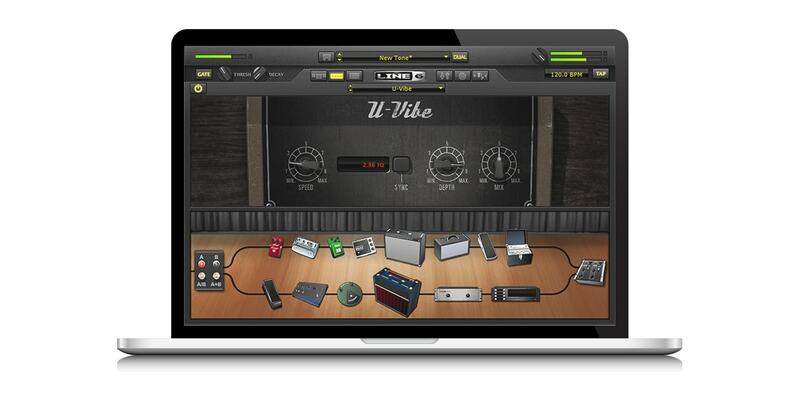 It usually uses pitch, reverb or chorus effects that can be found in voice processors such as TC-Helicon Voice Live Play, Boss RC-505, Electro Harmonix Voice Box or Roland VT-3. It is audio equipment of high quality and, therefore, of high price. 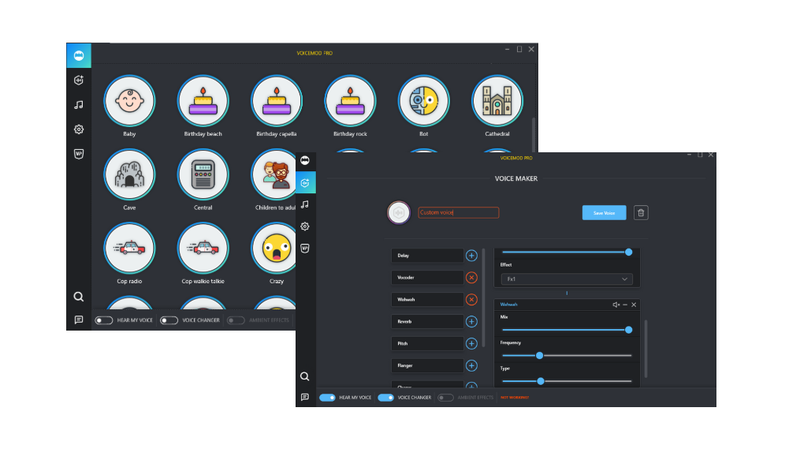 Voicemod is a great alternative software for Windows that can emulate the effects and the voice changer that Best in Class uses and that can be used in all online games. What voice changer does SMii7Y use? SMii7Y, pronounced "Smitty", is the king of funny gameplays. In many of his videos, in which he plays FPS games and Battle Royale, this popular youtuber uses a voice morpher to troll his teammates or opponents, using a female voice changer or adding effects to the microphone. Everything suggests that for its streams and videos, SMii7Y uses a real time voice modulator software with pitch shifting, delay, reverb and filters effects. He creates custom presets just like he can do with the Voice Maker of Voicemod. What voice changer does GassyMexican use? In the case of GassyMexican, the great twitcher and youtuber who plays Garry's Mod, Rocket League or Totally Accurate Battlegrounds, everything suggests that he uses Line's POD Farm desktop software, which emulates the sets of pedals and amplifiers used by guitarists. It is a program designed for professionals in music production and audio mixing. It needs a lot of system resources, it has a high price and, in addition, it is complex to use. What voice changer does Lt. Lickme use? The Australian troll with more than 1.8 million followers on YouTube has also not revealed that voice changer used to emulate the voices of Anonymous releases in online games such as COD WW2, Call of Duty - Black Ops or GTA V. Analyzing their videos we can ensure that employs a desktop program that applies effects of distortion and modulation to the voice in real time. Which voice modulator software do other streamers and youtubers use? Other influencers and twichers such as I am Wildcat, JohnontheRadio, Vanoss, CDNThe3rd, GotDrums (auto-tune master), Greekgodx, Nick Eh 30, Jonsandman or Exzd use different hardware processors and software effects to change their voices in real time in their games and streams. It is important to choose a program or app that is easy to use and is compatible with all chat programs, audio and video recording, as well as with all online games on the market including Fortnite, PUBG or Minecraft. Download now Voicemod and can copy the voice effects used by Best in class, Smii7y, GassyMexican, Lt. Lickme, I am Wildcat, Vanoss, CDNThe3rd, SootHouse, GotDrums (auto-tune god), Greekgodx, Nick Eh 30, Jonsandman or Exzd. Don't forget Mini Ladd, Plexiate, SwaggerSouls, Doni Bobes, TimTheTatman, TuxBird, Kitboga, Fitz & Kryoz.